Probably craps is one of the most famous games. It can be played anywhere – in casinos, in the street, at home or in any other informal setting. That makes the game so popular and nowadays it can be played online also. In order to play craps one doesn’t need costly equipment or any special comprehensive knowledge. The game is rather simple, but nevertheless it is still so spectacularly. But at the same time in order to play good game of craps, it is necessary to have special table and of course that pair of loaded dice marked with points (from one till six). Craps can be played by a lot of players (up to 20). Open craps. This type of the game is acknowledged to be illegal, so it can be played somewhere in the street, in some private settings. Tis kind of the game is alike traditional bank craps, but in open craps some different side bets can be found. The other remarkable difference is that the players can bet money against each other and gain (as well as loss) can be much bigger than in traditional bank craps. Private craps. Probably it is the ancestor of the craps game in general. It can be played by 2 or more players and the game can take place anywhere. This is the reason that private craps can be also called ‘street craps’. Loaded dice are thrown by players in turns and the one who gets the biggest number of points becomes the winner. This type of the game is very interesting though its simple rules. New York craps. As it is clear from the name of the game, mostly it is played in New York, but this type is also popular in some parts of UK and on Bahamas also. All the casinos where New York craps is played get great benefit as according to the rules casino earns 5% of any winning bet. Moreover the layout of the table for New York crabs differs a bit – there are two boxmen on both sides of the stickman and base dealers on both sides of the table. Bank craps. This is the most popular type of the craps games that is played in all the kinds of casinos all over the world. The players sit around the craps table, the game is hold by stickman with pair of loaded dice. He accepts bets and pays the gains. Any player can decide himself if he plays against another player or against the casino. The game is interesting and exciting. Simplified craps. It is the best craps game for those who are only the beginners. The rules here are simplified that makes the game easier for newcomers. This type of the game doesn’t include such bets are ‘Don’t Pass Line/Pass Line’, Naturals or Craps. High Point crabs. The most remarkable difference of this type of craps game is 2.35% edge of house. All the other rules of normal craps game remain. The history of gambling games is very long and ancient. People started to play gambling games a lot of centuries ago and the games were popular within different social stratums. But only nowadays it is easy to play any gambling game for any person with any social status. Online casinos are open for everyone. The game alike modern craps was popular in ancient Egypt, some other games like craps were played in India. But it is possible to say that ancestor of craps is the game called hazard devised by English Sir William of Tyre. Hazard was played by ancient knights in order to while away the time waiting for laying siege of the castle named Hazard (hence the name of the game). Step by step the game became more and more popular. It was well-known in Middle Ages and was enthusiastically played in luxurious gambling houses in England up to 1700. They say the game to America came together with first English settlers who came of Mayflower. But the history of modern craps that is so well-known by everyone starts in 1907 in New Orleans. Organizer of gambling games of the time John Winn took the game that was so popular among black slaves in New Orleans and modernized, revolutionized and clarified the rules. Today he is called ‘Father of Modern Craps Game’. His main contribution to the development of the game was making it possible for the players to bet right or wrong, adding the new area on the table called ‘Don’t Pass Bets’. Winn also suggested the players to bet together with shooter or against him. 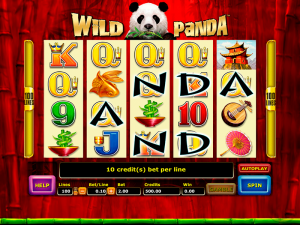 Almost all the changes introduced to the game by Winn are still alive and kept to in the modern world of gambling games. Definitely, he made the ancient game much more interesting and exciting. So, it is possible to say for sure the craps is the ancient time-honored game. If you appear in casino, it is very easy to find the table where craps is played. The game is vivid and fast. 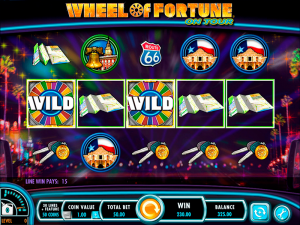 Really, it differs from other gambling games by its noisy and at the same time so friendly atmosphere around it. This fact makes craps so popular. Playing it one can have fun and gain some money also. But everything isn’t that easy as it might seem. It will take some time to become good player who understands what he does. It appears that craps is rather difficult game when it comes to its rules. Its betting system is rather complicated also. The proper understanding of all the rules and all the bets is necessary for successful game, so try to learn the rules before starting to play. Otherwise you risk wasting your time and money as well as the impression of the game will be spoiled also. Boxman play out games pieces, check them and control the dealers. Two dealers are standing at the left and at the right hand of boxman. They gather and pay the bets. Stickman stays opposite boxman. He gathers Proposition bets, announce the results and give loaded dice back to players. Player who rolls the dice is called shooter. As soon as he dices away, loaded dice is given to the next player. The bets are made while rolling the dice. Shooter must hold the dice with one hand only. The rolled dice should be hit against the opposite side of the table. Craps suggests a lot of various bets and wagers, but the main structure of the game is hold around pass line bet. In order to bet players put chips on the pass line, but some of the bets mean the chips should be moved by dealers. Each round is started with come-out roll. Bet wins in case if the number on two dice is equal 7 or 11 and if the number is 2, 3 or 12 the round is finished. Any other number on dice becomes the point and ‘Point Roll’ is started. Shooter keeps rolling until there is the same number on dice and wins or until he rolls 7 and loses. If shooter rolls ‘seven out’, the next player becomes the shooter. There are so many various craps bets and wagers available for players. It will take the beginner some time to become familiar with all of them, but let’s observe the main types in short. Pass Line and Don’t Pass Wagers are placed the most frequently as one of the best should be placed by shooter before starting his come-out roll. Don’t pass bet wins when 2 or 3 appears on dice and loses when come-out roll is equal to 7 or 11. Come & Don’t Come Bets are very much alike the wagers described above. The main difference between them is the time of placing the bet – it is necessary to bet after establishing the number. Sounds a little bit strange, so be sure everything is 100% clear for you before placing this bet. They are ‘additional’ bets to the bets that were already placed before establishing of the point. Big 6 and Big 8 Bets are very easy and straight and mean that any 6 should be thrown before 7 or any 8 before 7. Buy Bet point and Lay Bet point are the best that aren’t played during come out roll. Buy Bet plays for point to be rolled out before 7 and Lay Bet – after 7 is thrown. In case the player wins, 5% commission should be paid. As it is clear – craps is very interesting, gambling and exciting game. 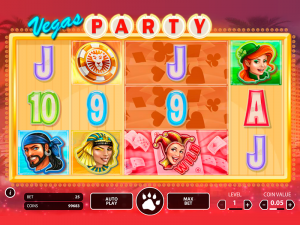 It should be definitely played at real casino or online casino room review and even you don’t have any wish to go out and to pay for the trip to casino, you can play it in our online casino.